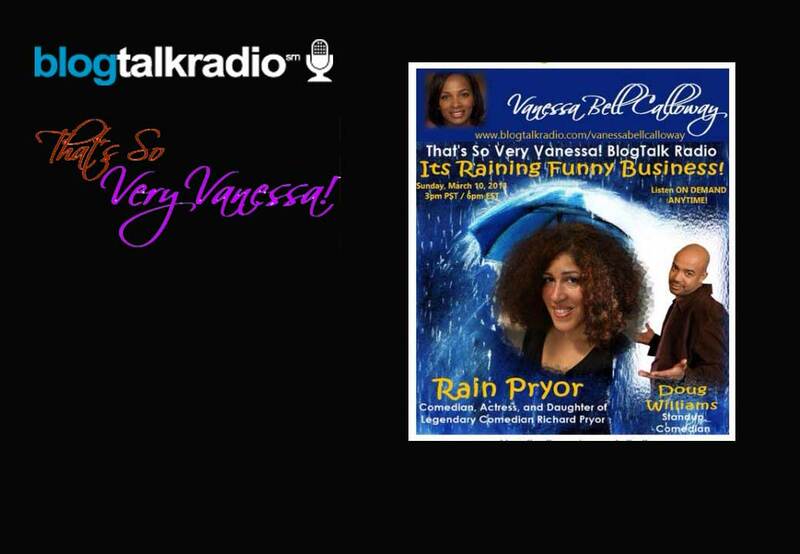 It’s RAINing Funny Business this Sunday, March 10, 2013, on That’s So Very Vanessa! BlogTalk Radio! Rain Pryor, comedian, actor, and daughter of legendary Richard Pryor, talks about her funny and famous life, and her hit one-woman stage play, Fried Chicken and Latkes! Comedian Doug Williams shares some highlights of his 22-year career as a stand up comedian. I’m even trying my hand at stand up comedy! I found out real quick that comedy is serious business!